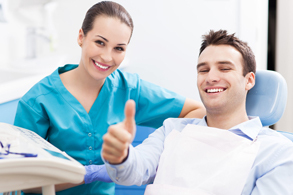 Every patient at Blanco Circle Dental Care deserves a beautiful smile they’re proud to share. Unfortunately, not everyone is born with a smile they love. If you want to transform flawed teeth with chips, cracks, and stains into picture-perfect smiles, our Salinas dentist and dentistry team can help. 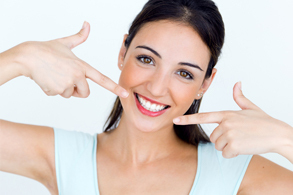 We offer a wide range of cosmetic dentistry services to create flawless smiles. Call our team to schedule a cosmetic dentistry consultation. We’ll help you find the right treatments to create a flawless smile you’ll be proud to share. One of the most popular options we provide is cosmetic bonding. This simple, one visit treatment is a great option to create a beautiful smile without a huge time or financial investment. Cosmetic bonding is a treatment that uses the composite resin utilized for tooth-colored fillings to correct purely cosmetic flaws. We can use cosmetic bonding to conceal and correct numerous smile flaws like chips, cracks, stains, and gaps. For many patients, cosmetic bonding is a viable, one-visit alternative to porcelain veneers. How is Cosmetic Bonding Treatment Completed? 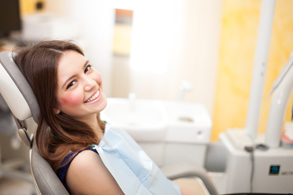 Cosmetic bonding treatments, like tooth-colored fillings, are completed in one appointment. We begin by numbing the area to be treated. Then, we apply an acidic etchant to create a more porous surface for the composite. Next, the precisely shaded composite resin is applied to the teeth and smoothed into place covering or reshaping the area as needed. A curing light is applied to harden the composite into place, and we smooth and polish it, leaving patients with gorgeous smiles. No treatment is right for every patient. During a cosmetic dentistry consultation, we’ll examine your smile, discuss your cosmetic goals, and help you find the right treatment. Patients who often benefit from cosmetic bonding include those who have deep set dental staining that is not responsive to traditional teeth whitening, to repair cracks or chips in teeth, and those who want to close too-large gaps between teeth. The cost of cosmetic bonding varies, but the pricing typically falls between $300 and $600 per tooth. One of our knowledgeable team members will be happy to work through pricing and financing before we begin treatment. 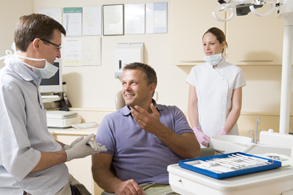 At Blanco Circle Dental Care, we offer clarity in pricing, so there are never any surprises. How do I Care for My Teeth Following Cosmetic Bonding? After your cosmetic bonding treatment, you should continue to brush and floss each day and visit our twice a year for checkups. You may want to switch to a softer toothbrush or less abrasive toothpaste to avoid unnecessary dental wear. Because composite resin is absorbent like natural enamel, it will stain over time. You may want to limit the amount of darkly colored foods and drinks you consume to avoid staining.